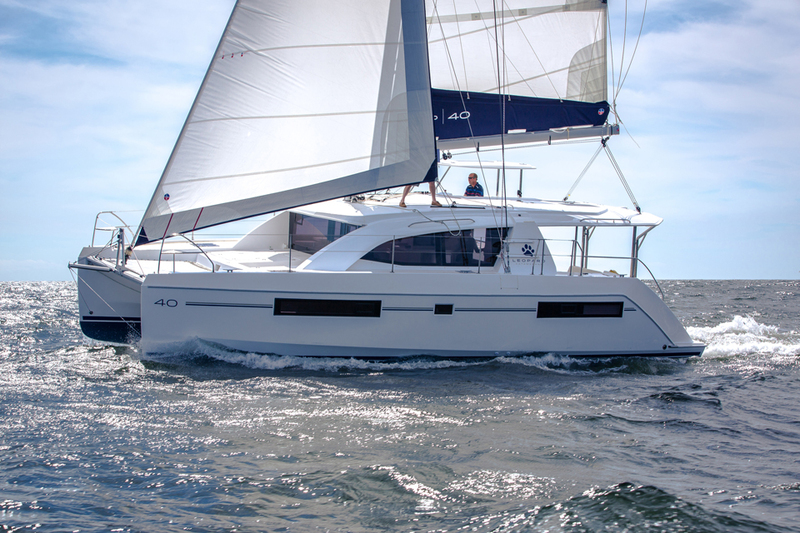 Ants Legs is a modern, clean design catamaran with molded sun shields on forward windows that duplicate as exterior steps leading to the mainsail. 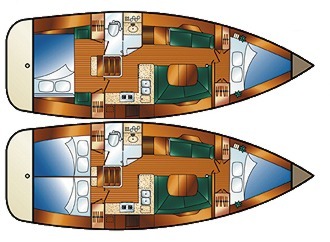 She has a 360-degree view for her spacious salon with numerous opening hatches and ports for cross ventilation in all areas, including in all cabins, heads and shower area. She has a wide aft catwalk for easy passage to the cockpit and interior . 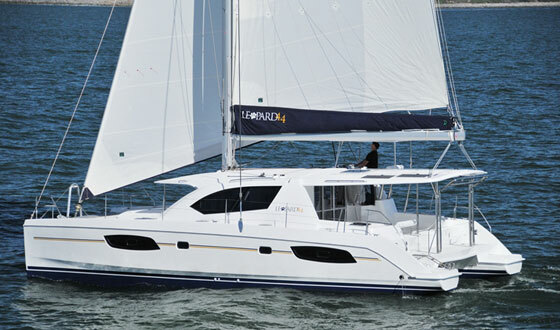 The catwalk duplicates as a swim platform that spans the hulls aft with stern boarding stairs on both the Port and Starboard sides, and a stainless-steel swim ladder on the Port side. there is also a hand-held shower in the aft. Ants Legs also has wide side deck and a large forward deck for lounging with two low-stretch trampolines. 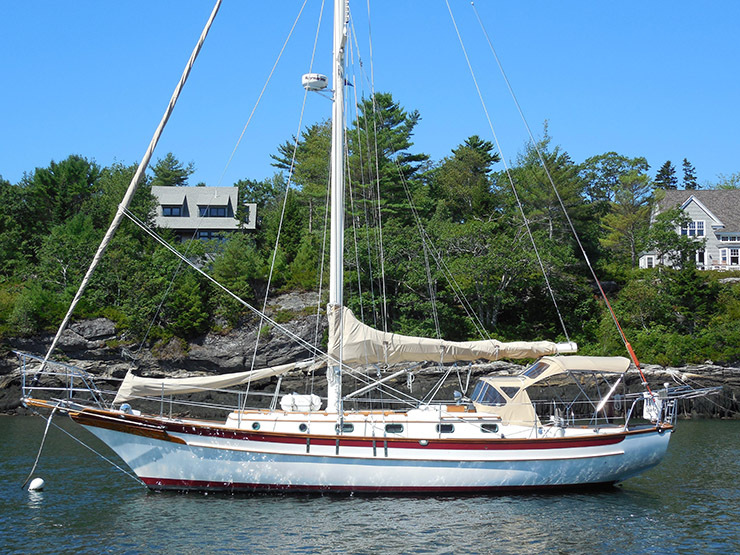 This vessel is a spacious cruiser with all the conveniences. The main salon is entered through double doors from the large cockpit, which can both be fastened open to add to the open concept feel. The salon has 7-foot high ceilings with a full expanse of windows as well as overhead hatches with shades. 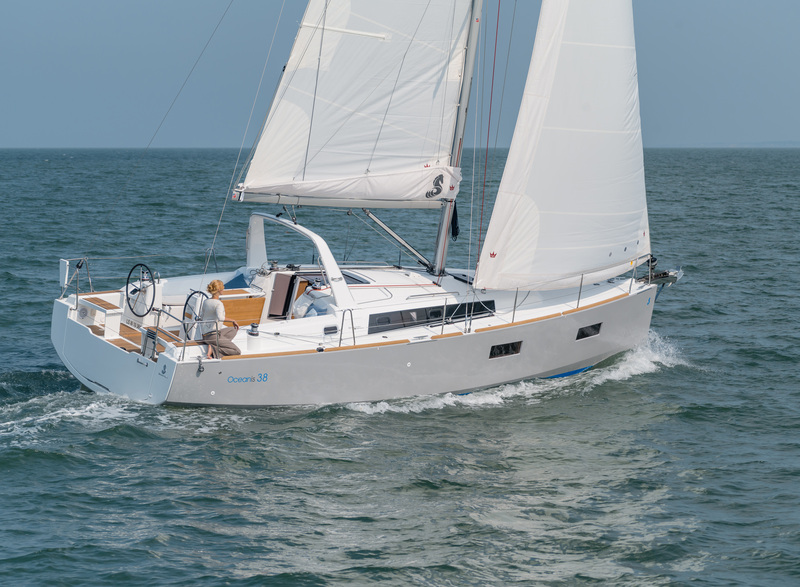 The open-concept design has a large circular seating area, with all new upholstery, large teak table, and complete U-shaped galley to Port. It is equipment with an LED flat screen TV, as well as fans, opening ports and hatches to enhance the air flow throughout the area. There are convenient steps on either side of the salon area leading to each hull, which also have full standing room. 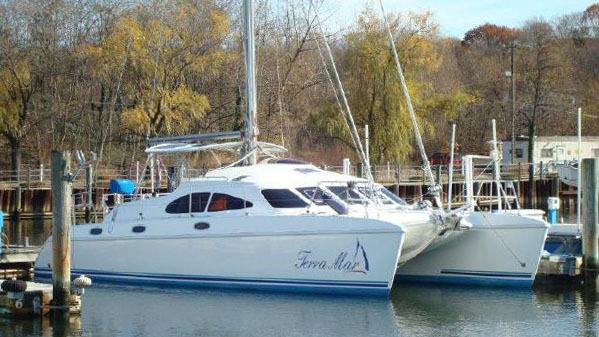 The Port hull accommodates two large queen-sized berths, each with its own hanging locker, fan and numerous ports and ceiling hatches for extremely good ventilation. The two berths are separated by an electric head, sink, and shower, which also serves as a day head. The owners? suite occupies the Starboard hull with a queen berth forward, a huge private shower room aft, as well as a vanity/office desk area midship. Ants Legs is designed for minimal maintenance with her teak and holly flooring throughout and removable overhead panels for easy cleaning and/or access. Large private owners? suite, with queen berth, with hanging locker and abundant storage, large private shower, vanity/office desk.